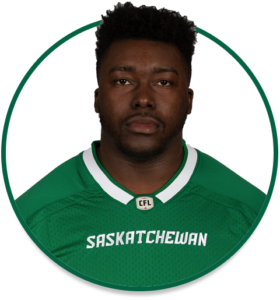 PRO: Re-joined the Riders practice roster in October, 2018…signed with the Riders in May, 2017…selected by the Roughriders in the 7th round (57th overall) of the 2017 CFL Draft. 2018: Spent the final four weeks of the regular season on the Riders’ practice roster after signing with the team in October. COLLEGE: Spent four seasons at Carleton University (2013-16)…played 30 career collegiate games…registered 59 defensive tackles, four tackles for loss and two quarterback sacks.